Founded nearby by French miners in 1849, the town of Morrowville, relocated here, was the center of one of the state's richest gold producing areas. Total production was over $20,000,000. One of California's first stamp mills operated at the nearby Franklin Mine. 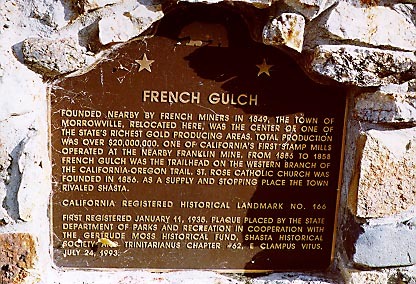 From 1856 to 1858 French Gulch was the trailhead on the western branch of the California - Oregon trail. 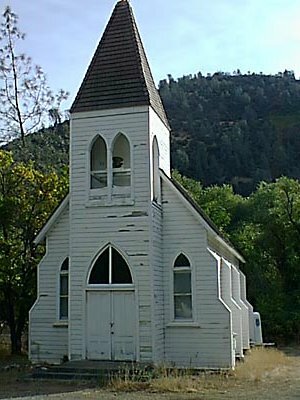 St. Rose Catholic Church was founded in 1856. 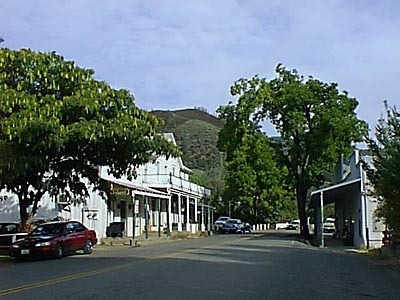 As a supply and stopping place the town rivaled Shasta. 3 mi E of Hwy 299 (PM 8.6) on Trinity Hill Rd, French Gulch.